Coming back to America! Paramount Pictures has hired the writers of Coming to America, Barry Blaustein and David Sheffield, for a potential sequel, according to The Hollywood Reporter. Though still in early developments, Kevin Misher (It’s Kind of a Funny Story, 2013’s Carrie) has signed on to produce the follow-up to the 1988 comedy. No word yet on whether Eddie Murphy will reprise his role as Prince Akeem, who comes to NYC from the fictional land of Zamunda to find a wife to love him for more than his money and title. Arsenio Hall and James Earl Jones also starred in the John Landis–directed original. Hall, 61, took home an NAACP Image Award for Outstanding Supporting Actor for his role as the prince’s sidekick, Semmi. The film itself won the 1988 Image Award for Outstanding Motion Picture. 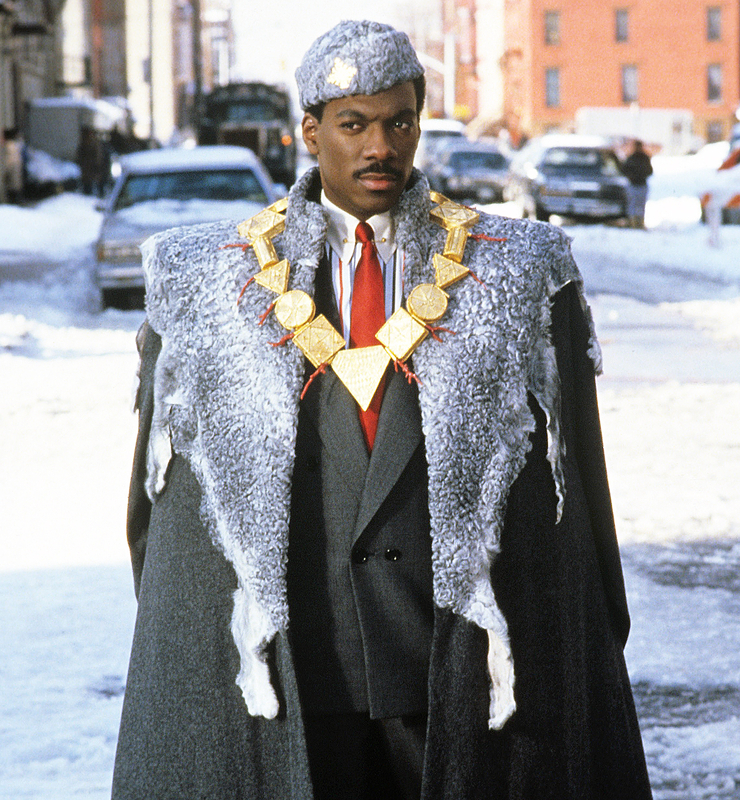 Coming to America joins the growing list of ’80s movies receiving remakes or sequels. Following 2016’s all-female Ghostbusters reboot, Overboard, Splash and Stephen King’s It have all been tapped to appear on the big screen again this year or next. 1987’s Dirty Dancing will come to ABC later this year as a “musical re-imagining” starring Abigail Breslin and Colt Prattes in Jennifer Grey and Patrick Swayze’s iconic roles, respectively.